Easter is a coming, and for all those kiddies, that means a ton of sweet stuff and chocolates. Pffff… kids and their sweets! (Said with a mouthful of cupcake). 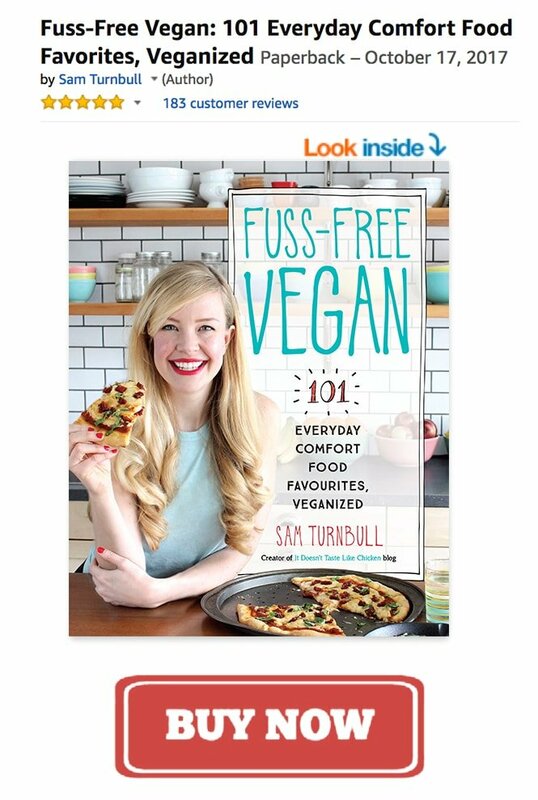 Some of us are more grown up and want something savoury, like a salad for Easter. I mean, salads are great for cleansing the pallet in between mouthfuls of delicious, delicious chocolate, right? Lets face it, even the Easter bunny probably eats carrots. So heres the the Easter bunny in all of us. 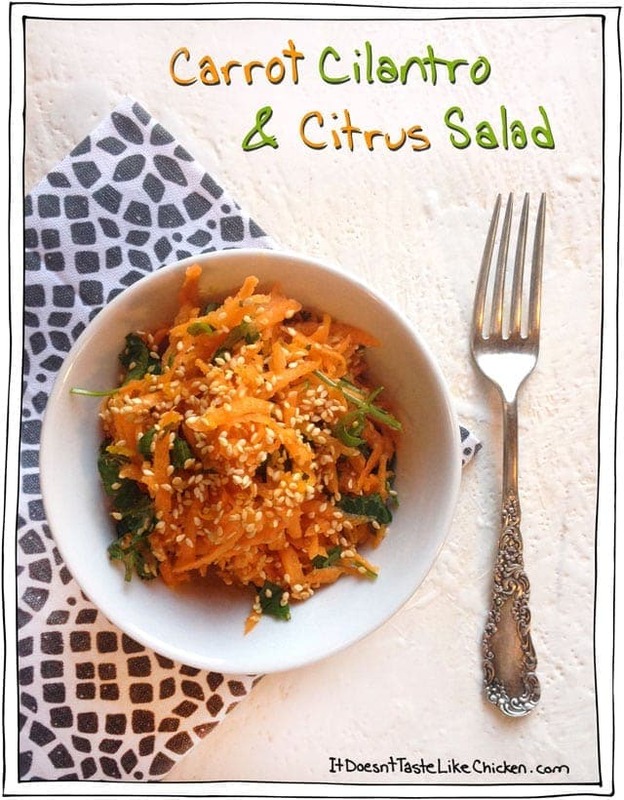 Lets enjoy this springy, citrusy, easy peasy, lemon squeezy (for real), salad. Even if it is only an excuse to eat more chocolate. Peel the carrots, and grate them on the large side of what some people call a “cheese grater” … Ok, I admit it, I still call it a cheese grater. Wash and roughly chop the cilantro. 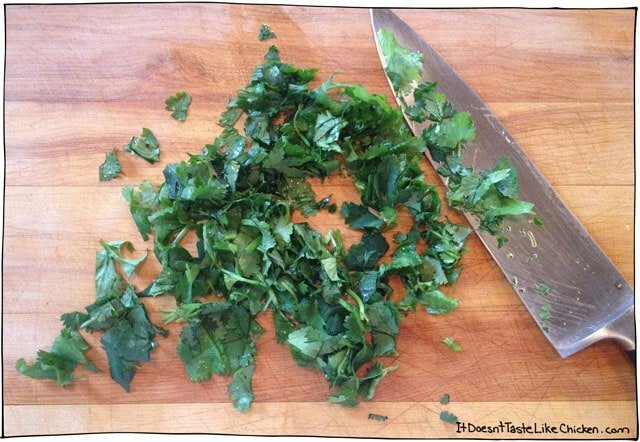 I always make sure to wash cilantro as it can be sandy. Nothing is worse than using our vegetation grinding teeth, to try and grind sand. 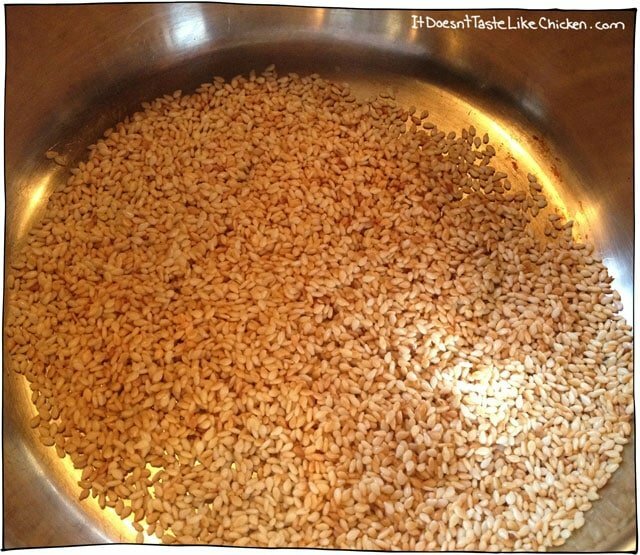 Toss the sesame seeds in a small pan, and toast them on the stove over medium high heat. Be careful as it only takes a few minutes and all of a sudden your house will be filled with sesame smoke. Take them off the stove before they are perfectly done, because the hot pan will keep toasting them. 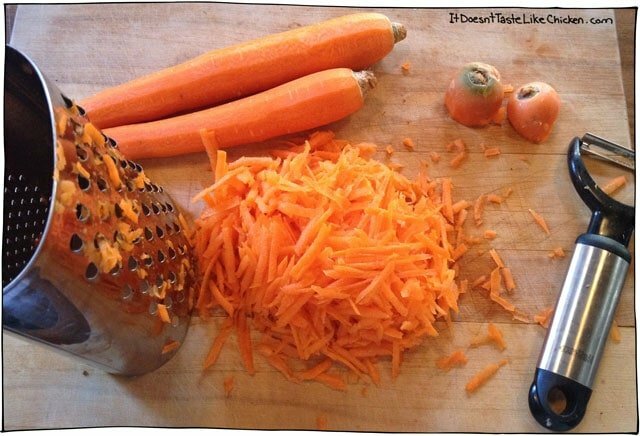 Now use the small side of the “cheese grater” … (carrot-zest-and-everything-else-it-can-grate grater, just doesn’t have the same ring)… anyways, so use the small side of the silver box with sharp holes to zest the orange, and then juice it. 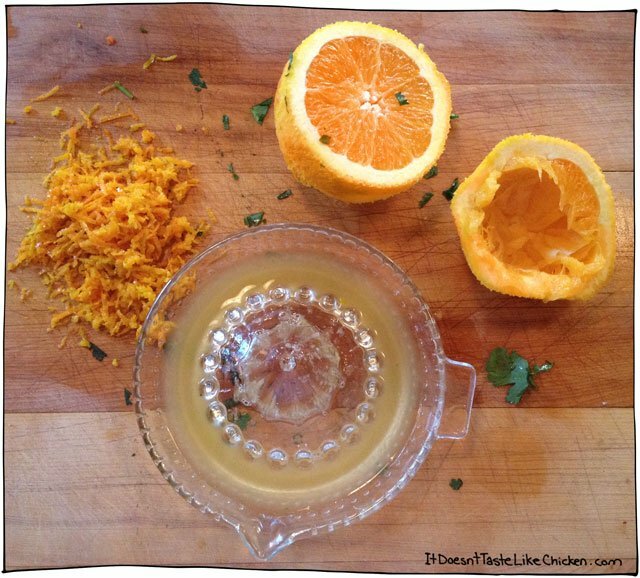 Then juice the lemon. 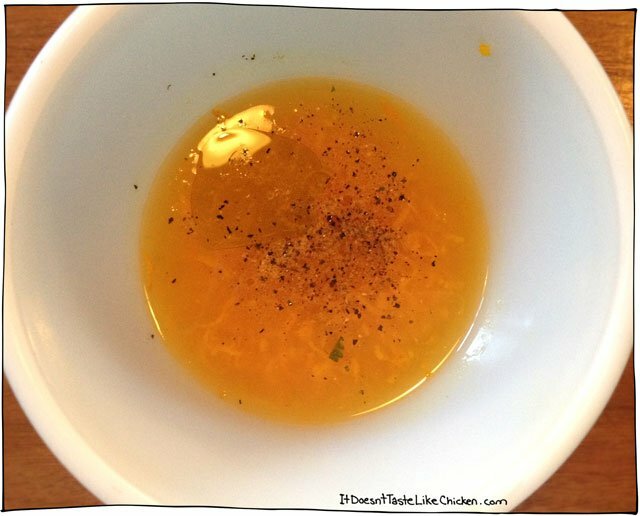 Then toss all of those juicy juices into a bowl with all the other dressing ingredients, olive oil, agave, mustard, and salt and pepper, and whisk it up. Now for the grand assembly. 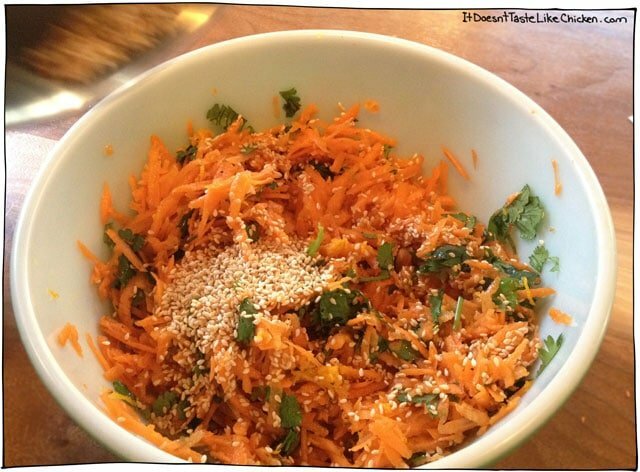 Add the carrots, cilantro, sesame seeds, and dressing all in a bowl and toss to combine. Serve and eat like the bunnies. That carrot salad was incredible!!! You’re very welcome Julie! So glad you enjoyed it!